Avani 2 has Topped Off! 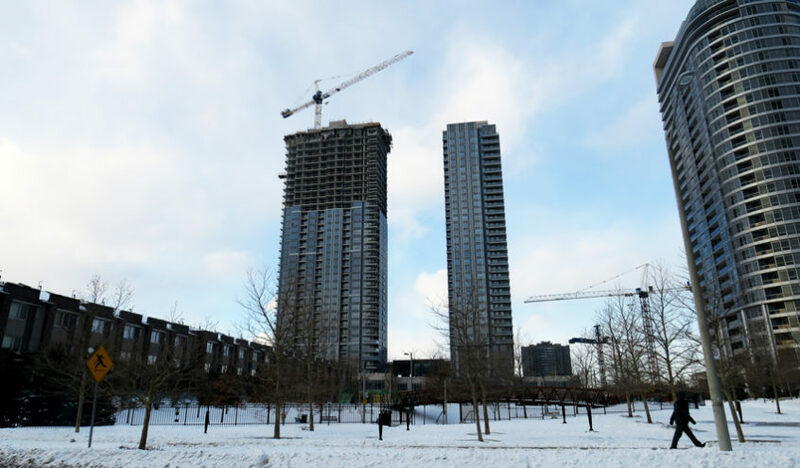 We are pleased to share that the roof slab at Avani 2 at Metrogate has been completed and the community has “topped off” at its full height. This is an important milestone in the construction of any community. 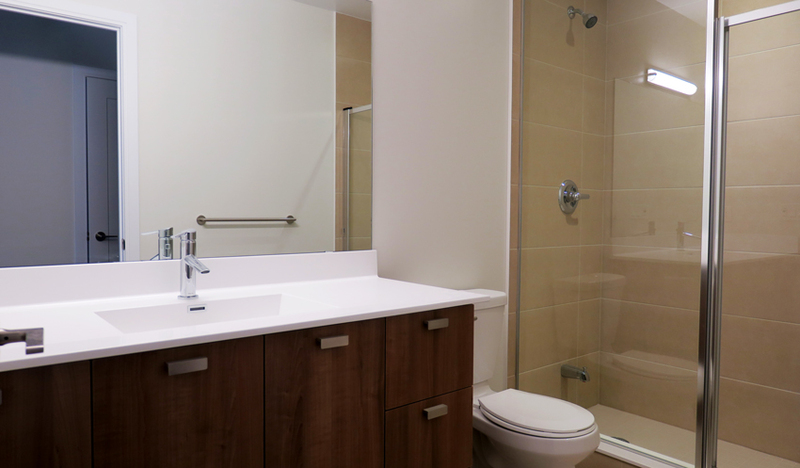 It signifies the end of forming and brings occupancy for our homeowners one step closer. Work has been progressing well on the interior finishes of the suites. Finishes begin on the ground floor and move upwards with trades following each other up the building. Currently, suites are being framed on the 19th floor. Framing is the installation of the metal studs (like the wooden 2 by 4’s used in low-rise construction) which will become the frame of the interior suite walls. 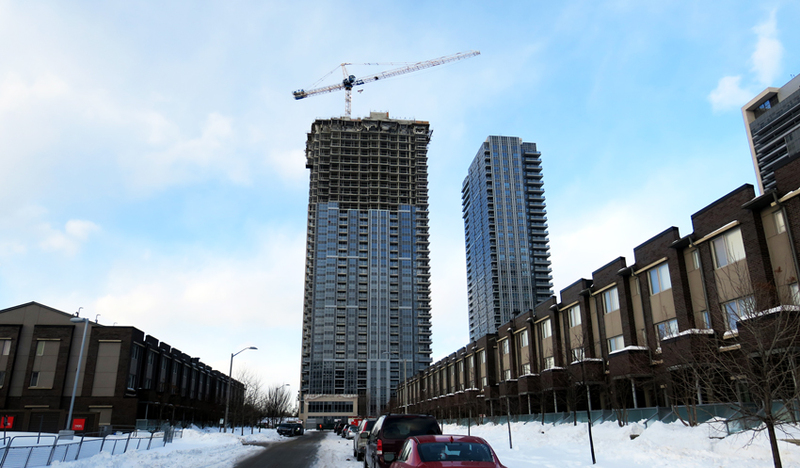 As the suites are framed, electrical and HVAC rough-ins have begun on the 18th and 16th floors, respectively. Plumbing rough-ins continue on the 14th floor and drywall is being installed on the interior suite walls on the 11th floor. Taping of the drywall is following closely behind. 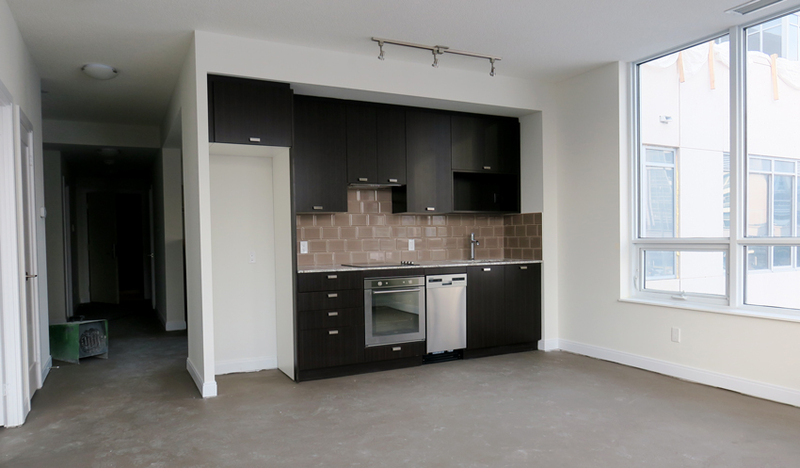 With the installation of kitchens, flooring and granite countertops on the 2nd floor, the suites at Avani 2 are really beginning to come together! 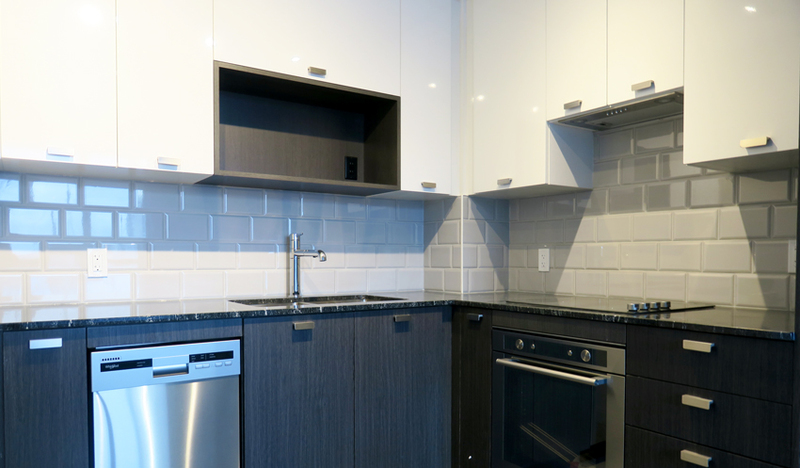 Tiling of the kitchen backsplash and bathroom areas has progressed to the 5th floor. 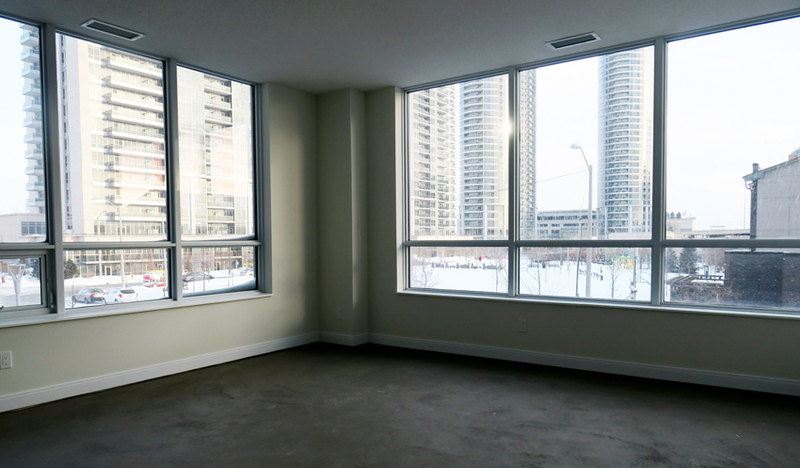 Conveniently situated near major highways, transportation and other urban amenities, Avani 2 is the fifth tower in the successful Metrogate community in Scarborough. Metrogate is a LEED© ND (Neighbourhood Development) comprising 17 acres overlooking a self-contained enclave of pedestrian-friendly streets and the beautifully manicured Metrogate Park. Want to keep up-to-date with Metrogate? 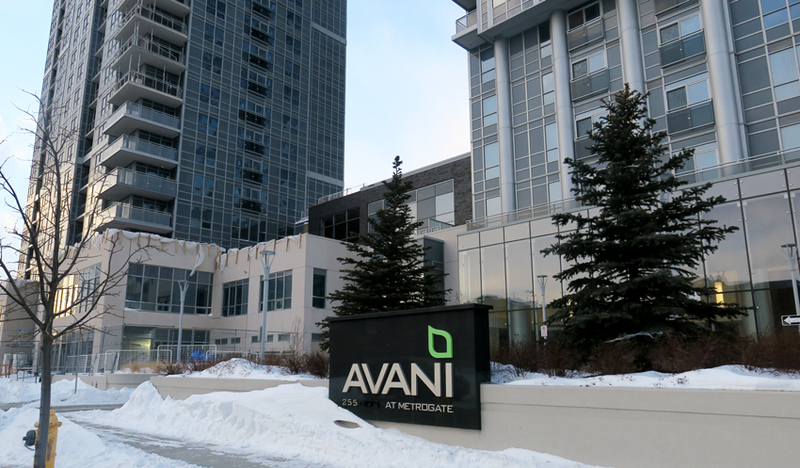 Our on-site construction camera is a great way to keep their eyes on Avani 2 from anywhere.